Obasanjo says he will not react to President Jonathan's letter. 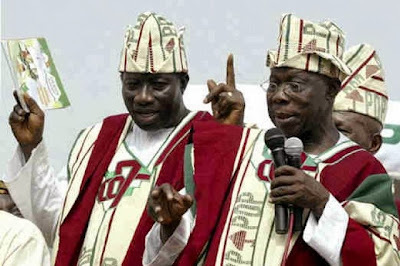 HomeObasanjo says he will not react to President Jonathan's letter. “Since the publication of the letter written by the President Goodluck Ebele Jonathan, which was in response to the letter earlier written by revered former President Olusegun Obasanjo; we have received several requests from local & international media asking to know Chief Obasanjo’s reaction to Mr. President’s response. ‘I will maintain my serenity, because by this letter I have done my duty to you as I have always done, to your government, to the party, PDP, and to our country, Nigeria’.